At 22, Leslie Morgan Steiner seemed to have it all: a Harvard diploma, a glamorous job at Seventeen magazine, a funky New York City apartment. Plus a handsome, funny, street-smart boyfriend who adored her. But behind a façade of success, this golden girl hid a dark secret. She’d made a mistake shared by millions: she fell in love with the wrong person. Gripping and utterly compelling, New York Times bestseller and TED Talk Crazy Love takes you inside the violent, devastating world of abusive love. Why did Leslie stay? She thought she loved him. Find out for yourself if she had fallen truly in love – or into a psychological trap. She is also the editor of the highly acclaimed anthology Mommy Wars, and a former parenting columnist for washingtonpost.com. She currently writes the Mommy Wars column for ModernMom.com. Her November 2013 book, The Baby Chase, explores surrogacy’s impact on American families, and her second TEDTalk explores the ethics of global surrogacy. Gail Davis: Today I am thrilled that we have Leslie Morgan Steiner in our studio was our guest on GDA podcast. Leslie is a regular commentator on parenting, motherhood and relationship violent on NPR, NBC's [00:01:00] Today Show, MSNBC, Fox News, CNN, Anderson Cooper, and many other programs. She holds a BA in English from Harvard. Her first job was as an editor at Seventeen Magazine, and she financed her MBA in Marketing from Horton by writing for Seventeen, Mademoiselle, New England Monthly and The Money Magazine. She is the author of three books, "Crazy Love", a memoir about surviving relationship violence in [00:01:30] her first marriage, the anthology, "Mommy Wars" and "The Baby Chase", an exploration of surrogacy's impact on American families. She is the former parenting columnist for the Washington Post online, and currently writes the mommy wars column for modernmommy.com. Leslie Morgan Steiner is a frequent speaker about family violence. Her Ted Talk about surviving domestic violence titled From Ivy League to [00:02:00] Again at My Head, has been viewed by over three million people. Her second TED Talk explores the ethics of global surrogacy. She serves as the celebrity board member for the One Love Foundation, in honor of slain University Virginia senior Yeardley Love, and DC Volunteer Lawyers project. She lives with her three children in Washington DC, and I'm so happy to have my friend in the studio today. Leslie Steiner: Thank you so much Gail. Gail Davis: [00:02:30] I love with people ask me about you because I always go, "Where do I start," and I think the best way for our listeners to really understand the issues that you've tackled is maybe to look at it chronologically. That's usually how I explain you, so that's what we'll do today. Your first book, "Mommy Wars", why don't you talk to the listeners a little bit about what your interest was there and what sparked you to write it and what your approach was. Leslie Steiner: I'm really drawn to taboo subjects [00:03:00] that people don't like to talk about necessarily. When I was working on "Mommy Wars" working and stay at home moms didn't really like to talk to each other about what our lives were like. It was kind of like we were two divided camps, and I thought if we could just really explain our lives to each other we'd all get along a lot better, and it's exactly what happened. I spent really three years doing nothing but talking to moms about their daily lives, and had they thought [00:03:30] they were going to be a stay at home mom, or working mom? What did their husbands think of it? What did their kids think of their choices? What did they think of their choices? And really like the daily battles that they fought. I came to the understanding that there is no real mommy war, that stay at home and working moms, we don't really care very much about what other moms do as long as they're good moms. The only real war is inside our heads as we try to feel good about the kind of mothers we are because nobody in this country is telling moms that they're good at [00:04:00] their job of being a mom. Everything is telling us how we're falling short and that we're not doing a good enough job, and we really need to step back and pat each other on the back and support each other rather than compete with each other. Gail Davis: I raised two boys, as you know, and worked throughout that time, and some of my heroes are women that stayed home and offered to help me like, "I know you're working, can I pick your kid up and take them here or there?" We're just [00:04:30] that great support system and we worked together. Leslie Steiner: I would say that those stay at home moms will probably say that Gail Davis is their hero because you were doing something different. You were out there in the world in your own way fighting for equal rights for women, for equal pay, or women to have a voice in a way that they don't, because that's the hard thing about being a stay at home mom is that you don't have a voice on the larger stage, or at least you don't feel that you do. It's a mutual thing. You were grateful to them, they were grateful to you, and I think that's [00:05:00] a piece that the media often misses in trying to exaggerate this so called war between women. There is no war between women. We all actually really like each other a lot. Gail Davis: I remember the very first time I met you. We were sitting at the Mansion Hotel here in Dallas, and I said, "Well, this is interesting." I was trying to wrap my head around where am I going to book this topic. You said something to me that I never forget. Correct me if my paraphrasing is off here but you said, "Oh Gail, men are very interested in this. First of all, when they meet their wives [00:05:30] they're working, and then when economics are not a consideration most people will choose not to outsource the raising of their children, so they might stop their careers and now the relationship changes and men are wondering why." Then you went on to say, "And most men have working moms employees, but the ultimate point where they become super interested is when they have daughters." Talk about that. I love it. Leslie Steiner: That's so true. It's really so true. It seems like such a [00:06:00] women's issue, but it's very much a men's issue too because men's wives are dealing with it, their employees battle it, increasingly men are battling it themselves because men want work/family balance too, but there's nothing more convincing than a man who raises a daughter to do anything in the world that she can do, to have really huge dreams, and then to see first hand when she's in her 20s and 30s, her hitting a wall of sexism [00:06:30] and gender discrimination, or a husband who won't pick the kids up from daycare, or the other battles that women face. That tends to get men's attention because this is their baby, who they know exactly how smart she is. It really brings it home in quite a profound way. Kyle Davis: In the what, 10 years or so, since the book came out, what changes have you seen and what are some stories that you've heard from people that you've talked or that have read your book and shared [00:07:00] with them you afterwards? Leslie Steiner: Social change usually takes a very long time to happen, but in the United States over the last 10 years we've seen some really huge quick social changes, and one of them has been in women's place in the workforce. A lot of this is tied to the 2008 recession, because as a lot of us know, men lost their jobs in that recession, but women didn't overall. It was a great step forward in terms of women equalizing their status in their families, [00:07:30] but it made a lot of men uncomfortable and it just fomented a lot of issues. That's one big change. 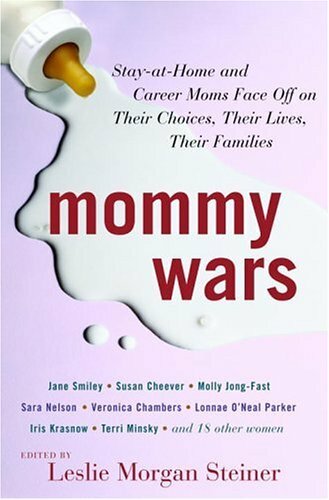 The other big change is that since "Mommy Wars" came out, and it got so much media attention and so many people were talking and examining the idea of a mommy wars, as I find that women are really open to talking about it, and it's not a taboo subject anymore, that women will talk very openly about their decision. I think that, that has changed a lot and that's a very good thing and something I'm really proud of as a writer. Gail Davis: Let's jump [00:08:00] to 2009. That was the year that Chris Brown and Rihanna put the spotlight on domestic violence, and if I remember correctly, it was almost as that story was breaking that your book "Crazy Love" came out. Leslie Steiner: That's exactly what happened. I don't wish any ill on Chris Brown or Rihanna, but it was very fortunate for me because there was this big spotlight all of a sudden on relationship abuse and Chris and Rihanna are so sympathetic in so many ways as so many victims and perpetrators [00:08:30] are. There was a great desire to understand it, and I think that's why People Magazine did such a big review of "Crazy Love" and why I got a lot of really amazing long form journalism and media attention for the book, and it's one reason why it was in New York Time's best seller the first week it came out is that the pump had already been primed. Again, it was a taboo subject, but it had become much less of a taboo subject because of Chris Brown and Rihanna, and other famous celebrity couples like OJ Simpson [00:09:00] and Nicole Brown Simpson, who had tragically been in the news so much before. People wanted to understand why you would stay with a man who abuses you, why a man abuses a woman, and what do you do about it. Gail Davis: It is an unbelievable book. I remember I had "The Galley" before it came out, and I was on a cruise and I remember just I couldn't put it down. I think that's the thing when people hear about you and look at you, you're so attractive and you're so poised [00:09:30] and you have this great education. Talk about that Leslie because that's the puzzling part to people. I know in the book you say you looked in the mirror and went, "Wait a minute. This can't be happening. It can't be happening," and maybe we should back up a little bit and tell listeners just the brief version of what happened. 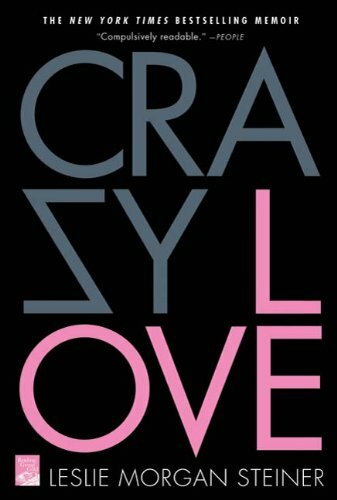 Leslie Steiner: First of all, I want to say I absolutely love it when people say that they've read "Crazy Love" in one day because it took 10 years for me to write it. But I wanted it to be a book that people read quickly and couldn't put down because [00:10:00] to so many people it's such a difficult topic. I wanted to make it easy to read, and I think it is easy to read and it's compelling, and it was compelling to live it. When I was 22 I met and fell in love with a wonderful guy who had just graduated from another ivy league school. He was a Wall Street investment banker, and I thought he was the man of my dreams, and in so many ways he was, he was a wonderful guy, but he had been terribly abused as a little boy, and he brought that abuse into our relationship. He started abusing me five days before our wedding [00:10:30] and it took me four years to leave him, and I left him because he was going to kill me. His rage was that serious. Even when I left him I would not have been able to tell you that I was a battered wife. I was in that much denial. I just thought I was a strong, smart women in love with a troubled man. It took me several years afterwards to realize that I was a very typical domestic violence victim, even though I defied so many stereotypes, and I had to write "Crazy Love" to explain it to myself, why I had stayed, why somebody who was supposedly [00:11:00] smart enough to know better had not only fallen in love with, but stayed with a man who was quite obviously out to destroy me, and it's a story that so many women know, and so many girls know too. Girls 16-24 are three times as likely to be in an emotionally or physically abusive relationship as older women, and over 500 women and girls of that age are killed every year by their partners or former partners. It's a really common problem that we all have to care about, and it happens in every income level, [00:11:30] every educational level, every religion, every country. It's happening right now in every community that you know. I think it's something that we have to talk about and it's one reason why I wrote about it and why I'm so committed to speaking about it in a way that any audience can understand and hear. Whether you're a domestic violence shelter who's doing a big fundraiser, or a group that has no ties to domestic violence, this is a story that everybody finds interesting and compelling because it's another taboo subject, [00:12:00] and also I pull back the curtain and I explain everything about how you can fall in love with somebody who is great in many ways, but has a very dark side and why so many of us stay for too long in relationships that are destructive. Kyle Davis: You mention that as he growing up he was abused and then just days prior to getting married he brought that abuse into your relationship. My question for you is what's the maybe the breakdown [00:12:30] of a spouse, whether male or female, that was abused prior and then brought that into the relationship versus some externality, whether it's some psychological breakdown or environmental or cultural impediments that bring that into a relationship? Leslie Steiner: The most important thing to say is that most men are really good men and they do not abuse their loved ones. Even men who were abused as children, most of them grow up to not be abusers, but [00:13:00] there's a small subset, and the numbers vary, maybe 10% of people who were abused as children grow up to be abusers themselves. There are very few people who just randomly start abusing somebody who loves them, whether it's a wife, a partner or a kid. It tends to be that it's a pattern that you learned as a child and that you don't necessarily don't want to be doing it but your anger and your rage are so huge that you can't get [00:13:30] away from them. Abuse, emotional abuse and physical abuse, are about power and control. It's not just about physical. You could have roommates or siblings who got into a fight or even got into a series of fights and that's not family violence. Family violence is about using emotional and physical dominance to control somebody usually so that they will be submissive to you and never leave you, because abusers, their biggest fear, is being abandoned. That's why my ex-husband abused me. He didn't want me to leave him, and [00:14:00] ironically, tragically, by abusing me he insured that I would leave him. Gail Davis: I mentioned in the introduction that you're frequently on Anderson Cooper's show, and I know there have been so many high profile examples, but as we start to talk about this taboo subject are we seeing improvements? Leslie Steiner: We have seen so many improvements in terms of the reduction of relationship abuse over the last 20 years since the Violence Against Women Act was passed. There's a remarkable [00:14:30] reduction, but it is still an enormous problem, and we're just really beginning to understand why victims stay and why more importantly why people abuse the last person on earth that they should be abusing, which is the person who loves them the most, whether it's their partner or really tragically and cruelly their children. Because most people who abuse their intimate partners also abuse their children, and that means that the cycle of violence repeats itself. [00:15:00] We've got to understand what's going on in a perpetrators head in order to break the cycle. Gail Davis: I know that you are in Dallas today for the conference on crimes against women, can you tell us a little bita about that and is that something that happens in other cities? Leslie Steiner: It's an amazing conference. It's an annual conference. This is the 12th conference on crimes against women, and it is growing by 30% to 50% a year because there's a huge demand to bring together all of the experts in this field. It's people [00:15:30] who work in law enforcement. It's a lot of police officers, and judges, and social workers, and district attorneys who get drawn into the world of human trafficking, relationship violence and sexual assault. These people are the experts in this field. It's a huge conference. It's the biggest annual conference, but there are a lot of other conferences like this, whether they're regional, stalking conferences, domestic violence, teenage abuse, child abuse. There's a lot [00:16:00] of work that needs to be done in this area, and hence there are a lot of conferences. Gail Davis: I remember one of your previous trips to Dallas you were speaking to a group of OBGYN's because I guess- Leslie Steiner: They see a lot of abuse too. Domestic violence is the number one reason that women visit emergency rooms in our country. The military does a lot of training in child abuse and domestic violence prevention, and the whole field is really shifting, as it should, to prevention [00:16:30] because if we can prevent it then we don't have to treat it, right? Gail Davis: Uh huh (affirmative). I was thinking about that. I was thinking about it both from having a daughter and then having a son. I just wonder ... Parents say, "Wear your seatbelt," and parents say, "Don't try drugs. Don't drink and drive," but do parents say ... Do they open this discussion up? I wonder. I'm not sure that I did. I don't think I did. Leslie Steiner: I think it's not a natural thing for parents to think that they should talk to their kids about. [00:17:00] It's not a comfortable thing, because of course we all want to think that love and violence will never go together, but unfortunately they go together all too often. The CDC estimates that 15 million kids either experience or witness domestic violence every year. 15 million, it's a lot of kids. If we think that we're somehow protecting kids by not talking to them about it, all we're doing is teaching them that it's such a terrible subject that they should remain silent about it, and that's the last thing that you want a child to think. You want a child to think that [00:17:30] if they are ever abused or a friend of theirs is abused or their mother or their father or somebody they know is abused, you want a kid to think that they should come to somebody, preferably an adult who they trust to talk about it. And that's another reason why I want to speak out so much. All three of my kids, they could give a really great talk themselves about domestic violence because I've talked to them about it so much. I think you can talk to kids about abuse and that we should. Gail Davis: [00:18:00] One of the things I remember from the first time met after we talked about "Mommy Wars" then we talked about "Crazy Love" and I had this haunting memory of you explaining to me that if a women is abused in an apartment she's never really alone because the walls are thin and she has neighbors. Someone may not ever say anything but there's this eye contact and she knows someone knows. Then you follow that up to say it's socio economic levels [00:18:30] and what's really isolating is to be the spouse of the high profile guy on the one acre lot, nobody knows. Leslie Steiner: Nobody's going to hear you scream. Also, quite often you're not working because your husband earns enough money that you can stay home, and also he's so busy that somebody has to be home taking care of the kids. You don't have access to your financial freedom, and also you don't have coworkers. Coworkers often are the first people to notice the bruises or to notice that on a regular basis you're absent on Monday because [00:19:00] you're covering up, you're too injured to come to work. Women of privilege who are domestic violence victims are the last person that we'll feel sorry for and it's the hardest for us to get help. Gail Davis: And the stakes are so high. Leslie Steiner: The stakes are very, very high, and that's used against us. Quite often abusers in that situation will say, "I have all the money. If you leave me I will use that money to get custody of the kids. No one's going to believe you. No one's [00:19:30] going to believe that I would do this to you." Everything about relationship abuse is really complicated. It's one reason why I did my TED Talk on why we stay because people think it's so easy. The first question that everybody always asks is, "Well, why didn't you just leave," and there's no just leaving about it. Whether you have a lot of money or you have no money, there are many, many reasons why domestic violence victims stay for a long time. It takes the average victim seven attempts to leave before [00:20:00] we actually do leave, and those attempts could last over a course of 10 or 20 or even more years. It's very complicated, and again, it's a reason why I like to talk about it, and it's why we have the conferences, like the conference on crimes against women is that there's a lot to talk about here. Kyle Davis: At those conferences that you go to, whether it's say for schooled nurses that they're dealing with kids, or an OBGYN clinic, or OBGYN symposium I guess, what [00:20:30] are some of the signs and symptoms that people can look for to maybe help in that cycle of learned behavior that is self perpetuating? Leslie Steiner: There are a lot of warning signs. The most obvious is any sort of unexplained bruise. If once you start to look for these things you can see them. If there's any bruising on somebody's neck, or fingerprint marks on their upper arm, those are really tell-tale signs, but victims and abusers are really good at hiding [00:21:00] those. The other things you want to look for is somebody who is obviously really afraid of their partner, and sometimes this is something you just pick up on sort of like a sixth sense, but somebody whose partner is very possessive. Somebody who says, "Oh, I have to tell my husband or my boyfriend or my girlfriend where I am," or they're not allowed to go out by themselves. Somebody who says, "I have to check before I can come." Somebody who does not want you in [00:21:30] their home. That's another big red flag, and that goes for kids too. Kids who do not invite other children home, that is often a sign that there's something wrong at home. The clues are kind of subtle but once you start to look for them they're plain as day. The harder thing is what to do about it because domestic violence victims are very protective of their abusers believe it or not. This is one of the things that I talked to Anderson Cooper about when Ray Rice attacked his then fiance in the Atlantic City elevator. She, [00:22:00] Janay Palmer Rice, was incredibly, almost comically protective of Ray Rice. He's an NFL football player, and she's telling Matt Lauer on the Today Show, "No, I'm his protector." That was a great insight, because that's what every domestic violence victim feels, and kids feel this too, "No, my job is protect my mom or dad and make sure the truth doesn't get out," because they know, we all know, what's going to happen. We know that this is illegal and that this is dangerous and that it's their fault, and so we have this strange idea that we need to protect them. It's one of [00:22:30] the many reasons that victims stay silent much longer than we should of, and when it's not in our own best interest to stay quiet about the abuse. Kyle Davis: Does the silence or even the protection element of it, does that come out of an innate sense of shame that they're just kind of embarrassed to let people know what's happening in their life? Leslie Steiner: Sometimes it does. Sometimes we're ashamed. Sometimes we're ashamed for loving somebody who is so troubled. Sometimes we're ashamed for staying, but more often it's even harder to [00:23:00] understand than that. It's not that we're ashamed. It's that we think that we are the only person who understands the abuser and that we need to protect that person and make sure that the police don't arrest him. This is particularly true in a sport's arena, like in NFL or the NBA or the military. We know that if their boos, their commanding officer, or their coach, finds out that they're abusing us that they'll lose their job. On a practical level we're really protective too. But believe it or not, I know this is [00:23:30] really hard to understand, because how could you love somebody who's hurting you, almost every victim will tell you that the reason that we stay is because we love them. Once we've left it might feel like it wasn't love, like it was just a con job, but when we are with a person it absolutely feels like a very strong and intense love, almost like a love that a mother would have for a child and that we want to take care of them and make sure that they get help, and we have this idea that we are the ones to help them, when we're actually the last person [00:24:00] on earth who can help them. Gail Davis: I really admire your vulnerability and taking the, I don't know, taking the blanket off the topic and opening it up. I think it's so important, and to show that it's ... You want to stereotype it and think it's just this certain group of people in this certain part of town in this certain situation, and you're the perfect spokesperson. Leslie Steiner: Domestic violence vulnerability has nothing to do with intelligence or education or self esteem. [00:24:30] Some of the strongest, smartest men and women I know are the people who have become victims. Perpetrators are really good at targeting people who will make ideal victims, and it tends to be just people with a really big heart who will give somebody a second chance, who will cover for them, exactly the same way I raised my own kids to be, just like that. But it makes us vulnerable in a way. The trick is to really learn that it's wonderful to love somebody so much, but you have to love yourself more. Gail Davis: I'd like to do a shout out. I [00:25:00] know we're recording this in Dallas and we have listeners all over the globe, I hope. Locally, we are a big supporter of the Genesis Women's Shelter, and we have booked Leslie at over 68 various places across the United States and beyond. In almost every community there is a shelter that you can call. They are trained. They know how to get people who are in an abusive situation help. Leslie Steiner: That's exactly true, and also for something that's important to call out is that family and friends [00:25:30] and coworkers and employers can also call a shelter. They can call a hotline. They can call the National Domestic Violence Hotline. You'll get hooked up to a local hotline. Those people, part of the village of support, we need advice too because it's a really difficult situation when you know somebody's being abused but you don't know how to help them, and Genesis is a great one. The YWCA is wonderful too. The National Domestic Violence Hotline, which is also located here in Texas, all wonderful resources for anybody who needs help. Gail Davis: Awesome. [00:26:00] The most recent book, I remember coming to the book signing in DC is "The Baby Chase" and it's about surrogacy. Please tell us how you shifted over to this topic, what inspired it and what some of your bigger takeaways were. Leslie Steiner: I feel like everything that I write about has to do with women because I feel like women are fascinating. It's a really interesting time to be a women in America. My topics of marriage and motherhood and work family balance are typical female [00:26:30] subjects. But what is closer to any woman's heart really than having a baby. "The Baby Chase" is about what happens when your body lets you down, and your body can't have a baby, your body or your partner's body. How do you wrap your head around the very strange idea of paying a woman to have a baby for you? It's not that strange actually. It goes back to the Old Testament where people had concubines and [00:27:00] this form of surrogacy is mentioned over 20 times in the Old Testament. It's actually a really ancient idea just modernized with IVF and fertility medicine. It's a really interesting subject because it costs so much in the United States. It costs $100,000 really to hire a surrogate here in the United States, and people will do it if they have the money. But if you don't have the money, like the couple that I profile from Arizona, they're a firefighter and a nurse, and they could get together $20,000, [00:27:30] which was a lot for them, but not 100. They had to go to another country. They ended up going to India to hire a surrogate. They had three babies, who are full biological siblings from the surrogates in India, but there are also a lot of other countries that you can go to too, Mexico and Ukraine. There are other places that you can go to do this really unusual thing of outsourcing baby making. Gail Davis: I believe you did a second TED Talk. Leslie Steiner: I did a TED Talk at the Kennedy Center [00:28:00] in Washington DC, and the family that I profiled are on stage with me and we explore the ethics of global surrogacy and why it can be a great solution, and why it can be a very complicated financial ethical and medical solution to infertility. Kyle Davis: That's actually something I kind of wanted to dive in to. What are the pros and cons? Because you do see ... We talked about this before. I went to Columbia, but I'm sure either at Harvard and all the [00:28:30] other good schools if we can use that in air quotes, I saw a lot of posters and signs asking my female classmates for egg donations, me for sperm donation and just different things like that because you want to make this perfect human being. I'm not perfect, but they try to. What are the pros and cons from keeping it domestic, if you will, versus outsourcing it to a country like the Philippines or India or Mexico? Leslie Steiner: [00:29:00] The United States is a really hard place to hire a surrogate. Not only because it costs so much and so many lawyers are involved, but because every state has different laws, and there are several states where it's not legal to have a commercial or paid surrogate, and then there are places where it's a little murky, and there are places where you have to hire a lawyer, even if it's your full biological baby, your egg and your partners sperm, you have to hire a lawyer just to get your name as the parents on the birth certificate. The [00:29:30] United States is very complicated and expensive. Other countries are less complicated in some ways but more complicated in other ways. It just depends what you're comfortable with. The tragedy of infertility is that it starts with this wonderfully human idea and natural biological urge to have a baby, which almost everybody has, and you spend most of your life trying not to get pregnant, and then you discover at whatever age you are that you can't [00:30:00] have a baby and it's really hard and it scares people a lot. You spend years trying to have a baby and failing, and then maybe trying to adopt and then failing on that because adoption, while it sounds so wonderful, is really complicated and expensive too. You're sort of at the end of your rope by the time you hire a surrogate if you are heterosexual. The wonderful thing about being gay man is that you kind of understand from the beginning that it's going to be a challenge for you to have your own biological baby. [00:30:30] For a gay man it's actually much less complicated in terms of hiring a surrogate, but for heterosexual couples it's really complicated and kind of crazy. It's also hard because often your families don't understand. People say the most insensitive things, and I come at the subject with a lot of sympathy because I think it's a wonderful thing to want to have a baby, and I've also seen that surrogate parents make wonderful parents because they so desperately want babies, and that also surrogates [00:31:00] actually love doing it. The only people who become surrogates are women who get pregnant easily and who love being pregnant and want to pass on this gift to another couple. There's a lot of happiness in this story, but the media, and people who don't know much about it, treat it as a really bizarre thing when I actually don't think it's that strange. Kyle Davis: I think I read something, I very well could 100% be wrong. I read real news, none of that fake stuff. I [00:31:30] think I saw something about kind of like a surrogacy mill or something like that where it was maybe not above board, and I'm just wondering if that's a concern as this outsourcing baby making begins to grow. I'm just curious. Leslie Steiner: Yes. What you read was real. There's a lot of exploitation of women. The truth is the exploitation of women everywhere in the world, and when you throw in very lucrative baby making there's going to be some degree of exploitation. [00:32:00] What I always say to couples who are considering this is go with a really ethical clinic that's been in business for a long time. Whether you're doing it in Texas or in Thailand make sure you go with a clinic where they treat women well. Some of the clinics what they'll do is they will give the money directly to the surrogate instead of giving it to a husband or father and that cuts down on some of the exploitation, but the country that I studied most in depth [00:32:30] was India, and the thing in India is that women have such limited job opportunities. Their job opportunities are basically prostitution or a kind of drudgery that's like slavery. Surrogacy in many ways is a big step up for them. The laws in India have change unfortunately because there was a lot of accusations of exploitation, which I found to not be true. Most of the surrogates that I've talked to are very happy [00:33:00] to do it, but your point is a good one, that there are unethical people everywhere. No one should be forced to have a baby or to give up a baby if you don't want one, and there are some quite high profile cases where women and their unborn children have been exploited, and also where surrogate parents are exploited too because you're pretty desperate when you want a baby. You'll find cases of surrogates or their representatives saying, "We're going to have an abortion unless you double the fee," that sort of thing. [00:33:30] These are treacherous waters and you have to watch out. Kyle Davis: I think that's what I was reading. There was an exploitation on the end of the family ... I don't even know what the proper terminology is, but the parents who couldn't have the kid in a natural method. They were trying to be blackmailed. Leslie Steiner: Right. That happens too. You have to be very careful. Gail Davis: What is next? Leslie Steiner: The book that I'm working on right now that is going to come up in the summer of 2018, it doesn't have a title yet, but the [00:34:00] concept is dating at 50. I got divorced when I was about 47 or 48, and what I heard from everybody was that my life was over and that I was never going to date anybody again and that there were no men out there. To my utter delight, and I think to all divorced women's delight, there are lots of men still out there, lots of wonderful, amazing men. My book explores what dating at 50 is really like, the good, the bad and the ugly. It's [00:34:30] funny and very ... I hope that it's very inspirational because I found that a lot of the terrible stereotypes were not at all true. Gail Davis: I know we mentioned in the introduction that you're a mother of three. How do your kids, as they've gotten older, how do they respond to these different topics that you write about and what are their trepidations about this upcoming book? Leslie Steiner: I would say that the dating at 50 is not their favorite book at this point. The thing about [00:35:00] my kids is that they have understood from an early age that this is what I do, is that I like to write about personal subjects and they are totally supportive of it, and I'm supportive of them too. I don't write about them. In my parenting writing I don't use their names. If they ask me not to write about something of course I won't write about it. My kids are completely cool about it, and it does help that their friends [00:35:30] love the stuff that I write about. I get a lot of props for that and that helps bring them around. Gail Davis: That's awesome. I can not wait to read dating after 50. I think that'll be fun. Leslie Steiner: I think it will be fun too. Hopefully it will as much fun to read about as it has been to live. Kyle Davis: Well, you can't say that and then just leave it there. Is this the part where I leave? Leslie Steiner: This book is for men too. Kyle Davis: I know. I was just talking about my mom. [00:36:00] You're probably going to give her some advice. Leslie Steiner: Oh, her stories. Kyle Davis: I don't want to hear them. Yeah, what's dating after 50 like in 2017? Lots of Bumble, Tinder? Leslie Steiner: There is that and they're great. All of those dating websites are wonderful, but everything about it is so different because the thing that's great about dating at this age is that most of us are not in the market for having kids. We've either had our kids or accepted [00:36:30] that we're not going to have them. We usually have established careers. We're not looking for a guy for money. It's easier if you're not. We're more confident. I always our skin might be more wrinkled but we're a lot more comfortable in it. It's a wonderful time to date actually. I find it to be much more enjoyable than dating as teenager or a young woman in my 20s. Because of all those things you cast a wider net I find [00:37:00] if you have the right attitude. If you're looking for a soul mate it's still terrible. Looking for a soul mate is hard, right, even if you're 25, and if you're 55 it's much worse. But if you're looking for companionship and somebody who's interesting and you are looking to date ... Your age range is 35 to 65 there are a lot more people out there, and that's what I urge women to do is to just open your eyes and look around and everywhere you go to see that there are a lot of wonderful people there. I [00:37:30] think that applies no matter what age you are, what your gender focus is. There are a lot of wonderful people out there. The key actually is so simple, and Gail and I have talked about this a lot, to be open and approachable, to smile at everybody and to be friendly. Just be a good citizen of the world and also to always get their name and number. If you meet somebody nice you got to get their name and number, and that's probably the hardest things for a women at this age, or at any age because we're not used [00:38:00] to it, and you got to really pump yourself full of confidence to go into it. Kyle Davis: Name, number, e-mail address, throw it into Google, find them on LinkedIn, see what they do. Do a little bit of opposition research. You'll be good to go. Leslie Steiner: It sounds like you know a little bit about this. Kyle Davis: No, just a little bit. Cool. I think this is a good place for us to wrap up. Wow, that was bad. But instead of plugging GDA Speakers first let's just give the phone number for the National Domestic Violence Hotline, which is 1-800-799-7233. Again, that's 1-800-799-7233. [00:38:30] That being said, if you would like to book Ms. Leslie Morgan Steiner you can do so by contacting GDA Speakers at 214-420-1999 or by going to gdaspeakers.com. For the transcript, books, and all things else go to gdapodcast.com. Thank you. Leslie Steiner: Thank you both so much. Gail Davis: Thank you. It was great to have you here Leslie. Thanks.